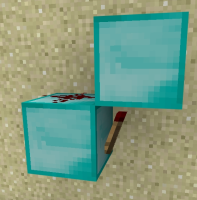 If you create what it is called a redstone torch burnout clock, it should burn out and turn both redstone dust and redstone torch off. However, somtimes the clock re-burnouts randomly, which basically means that once the clock is burn outed, it has a chance to re-burn out. To recreate this, simply make a redstone torch burn-out clock. It will burn out once the circuit is complete. Then wait untill it re-burn outs.